As far as I know, the phrase “wiggles and giggles” has nothing to do with movies but I did hear it a lot from the guy who was fixing the heat at my office this week. He was talking on the phone with his boss or someone to help alleviate the problem and repeatedly said well, for “wiggles and giggles” why don’t we try this? So, for wiggles and giggles here are some movies and television shows I am excited about at the moment. My buddies Andy Greenwald and Chris Ryan over at Grantland said, during one of their many podcasts about Matthew McConaughey’s revival, that Jake Gyllenhaal is another fellow to watch out for on the big screen. if there were a catch phrase like “McConaissance” that worked with his name I’d use it here. Need I say more? The trailer is really all I needed to be on board for this film. 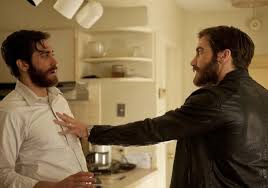 Even though I didn’t like “Prisoners,” Gyllenhaal’s performance as Detective Loki did save the film. I’ll conclude this stream of consciousness with another little tidbit I heard about on Grantland, the show “The Strain” coming out on FX in July. 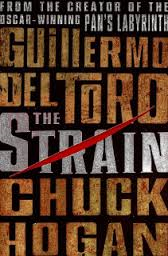 It stars Corey Stoll (who I really liked on “House of Cards”) as a doctor in New York City investigating, “a mysterious viral outbreak with hallmarks of an ancient and evil strain of vampirism.” Guillermo del Toro will be behind the camera as a writer, director and producer working with vampire-trilogy author Chuck Hogan. I don’t know anything about the books and I have not followed the vampire craze in Hollyweird, but something makes me think this small-screen debut will be where it’s at. Okay, that is all for today. Watch it, you know, for wiggles and giggles. I’m dressed, but not ready, for the Oscars. I’m not ready for the Oscars. It happens every year. I think I am going to at least see all the best picture nominees and I end up spending my free evenings leading up to the big show binge watching Brooklyn 99 or House of Cards. Fail. Of what I’ve seen so far I think “Nebraska” or “Dallas Buyers Club” should win, but “Gravity” will. But it could all be rigged anyway. Someone with power stopped “Don Jon” from being nominated, so what does that tell you? I also learned today that the best picture decision is based on the voters ranking their favorites compared to just picking one, which they do with the other categories. 1. There is a lot of buzz about the contest between Matthew McConaughey and Leonardo DiCaprio for best actor. McConaughey is having his moment, but DiCaprio has been in it for a long time. If you haven’t seen McConaughey’s recent work, try “Mud” and just watch something, anything, with Leonardo DiCaprio in it. I am team Leo. 2. Go to Grantland.com and stay there. I enjoy their critics’ reviews and podcasts and please, if you finish everything about the Oscars, try the reality tv offerings. You won’t be disappointed. 3. Watch old movies that won an Oscar. 4. Five words: Independent Spirit Awards. Patton Oswalt. 5. Put on something fancy and fill out your Oscar ballot.